Conversations about security and what that means for our nation often come to the forefront around 9/11. This year is no different for Robert Bettmann, Artistic Director of Bettmann Dances, who aims to explore the issue of security through his company’s latest project Quis Custodiet. Quis Custodiet, an abbreviation of the Latin phrase ‘Quis custodiet ipsus custodet?’ which translates to ‘Who will watch the watchers themselves?’, is inspired by the personal connections Bettmann has with the issue of security. His grandparents met as refugees in New York during World War II, and Bettmann himself experienced life in the District both before and after 9/11. The title of the project also plays with the idea of performing for an audience. Spectators watch the dancers, but who watches the audience? 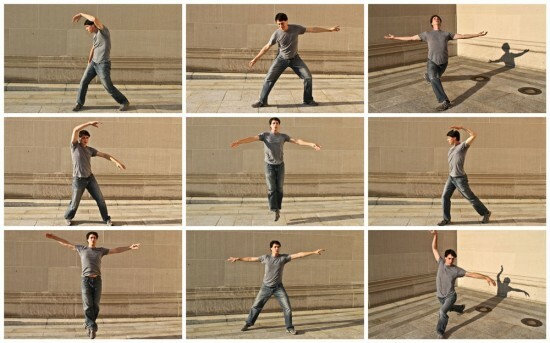 In regards to the dancing itself, Bettmann describes his style as theatrical, modern dance. He works toward creating beautiful and meaningful choreography that can be enjoyed on a variety of levels. If you’re interested in learning more about Bettmann Dances, visit http://bettmanndances.com. You can also help support the project by pledging to their Kickstarter until Sunday, September 26th.